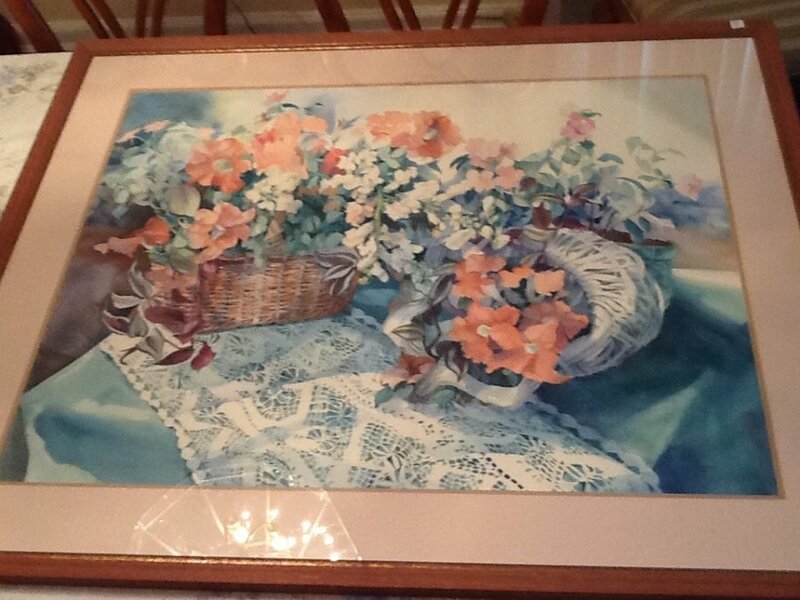 This is a transparent watercolor 30"x40", painters by Karen Vernon Dugan in June/July 1987. It consists of transparent watercolor, Winsor Newton, Talens, Holbein, Skchminke, and Fragonard. Painted on 1114# D'Arches cold press cotton rag.